We’re here to help. Our gift selection will definitely bring “wow” to you and your loved ones, so let us give you some Christmas gift ideas here. It is such an exciting moment when you unwrap your gift, but what if you find something even more inside? 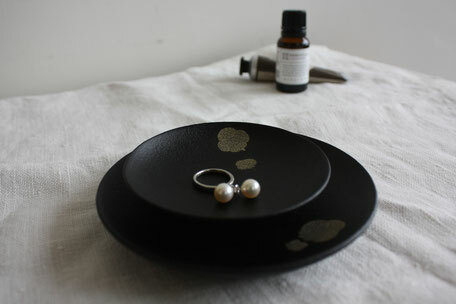 You could add some small stuff or your handmade cookies. Bento box is really versatile, so be creative in many different ways by putting your thought into it. Looking for something unique for your friend who has a great taste in home styling? This small plate set is the perfect one. If you include aroma oil or nice hand cream, she must be immediately inspired. You can use them individually or stacked in pairs to enjoy playing the combination of these small designs. 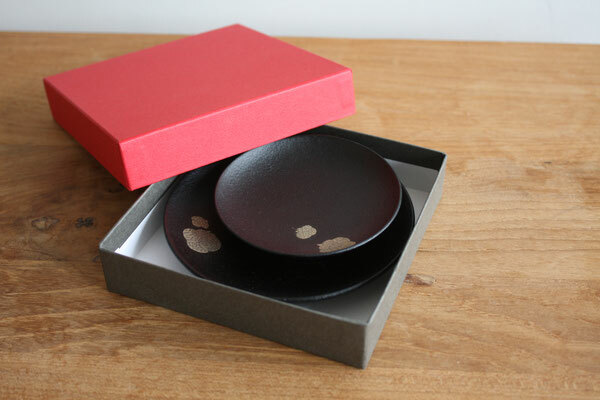 Marron dome box that can be used as an incense container would be great choice if you send together with favorite dried herb. Later this can be used as a jewellery box. You could treat him/her to a relaxing time at the same time. 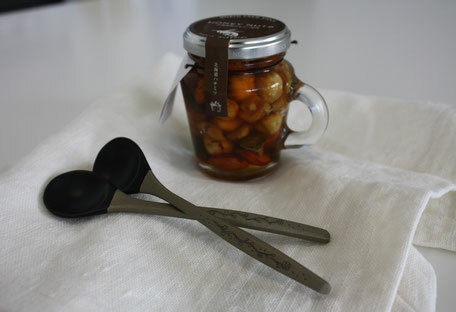 If you loved one opts for bread or cereal for breakfast, try blending our petit spoon "wildflowers" with jam or honey in a stylish jar. When you see them together, you would feel like using them right away. Breakfast time will absolutely become more fun by proposing how to enjoy it. 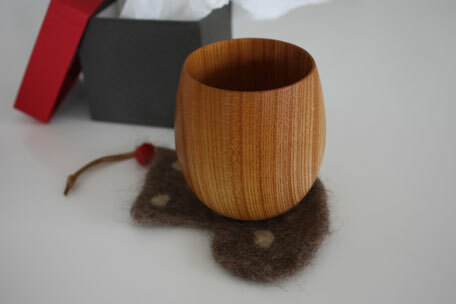 It would be such a thoughtful gift if you send a set of cup and coaster. 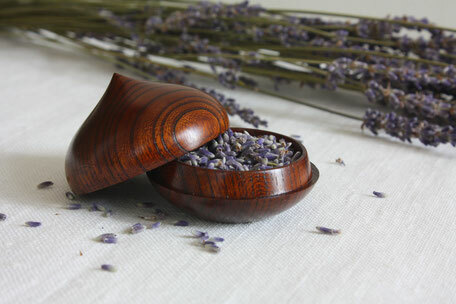 Since this cup features the beauty of its natural wood grain, any kind of coaster could go well with it. Could be your handmade, or some Christmas design like the photo. 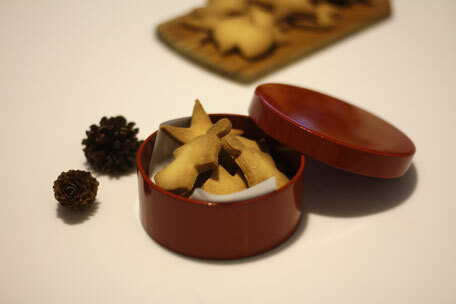 All of our items come with a nice gift box and we offer FREE gift wrapping with Japanese "Mizuhiki". Also we are flexible to combine your favourite choice with our items in response to your request. Please feel free to contact us for further advice. Now you must feel even more exciting for choosing a gift for your loved ones. 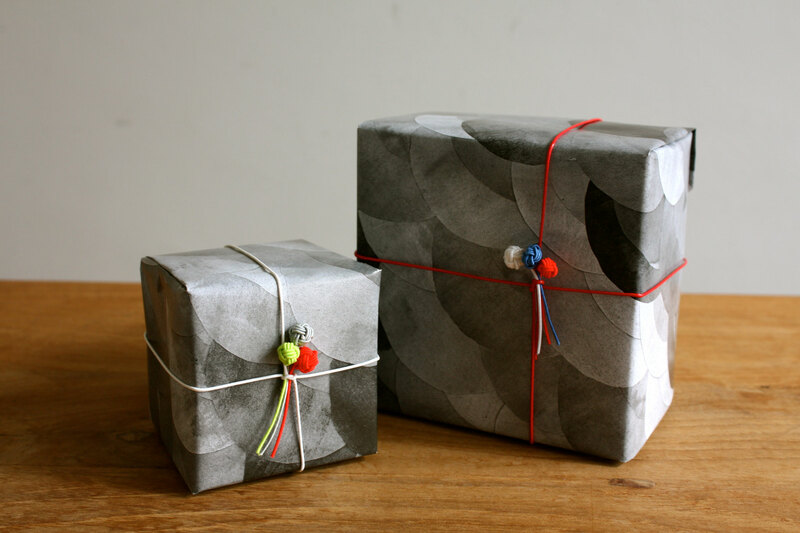 Be creative and enjoy Christmas shopping! It is my favourite time of the year as well imagining their happy faces.